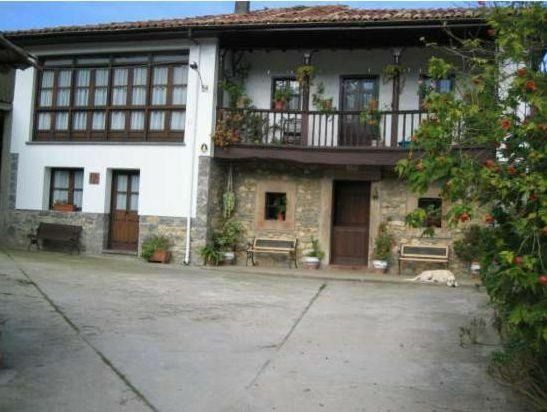 The village house EL MOLIN, is located within the typical Asturian farmhouse with an age of 275 years, according to the deeds and the municipal library archive. We always dedicate ourselves to the care of animals. There used to be a mill where corn and other cereals were milled. Nowadays we have native cows from the races Asturiana de los valles, also called Carreñana, and Asturiana from the mountain, called Casina. We have a goat farm, we use their milk to make our cheeses, we also make a mix of cow, goat, cow alone and a fresh goat cheese and goat cottage cheese. This can also be visited by all our customers and we give them a tasting. Apart from what we offer, here is a lot of things to do for the proximity of our beaches to the mountain We have in about half an hour Covadonga with the natural park of the Picos de Europa, the city of Cangas de Onis with its reconquest and the council of Cabrales and Onis known for its famous Cheese Cabrales and Gamoneu. From the Village House EL MOLIN De Frieras can be walked either to the San Antolín beach or the beach that is a natural monument of Gulpyguri, the coastal path, the Camin Encantau in the Ardisana Valley. There are infinity and routes to do. - After the renovation carried out in 1997, the house is perfectly equipped. It has a living room, toilet and kitchen with a door that leads to the exit of the garden. - On the 1st floor has three bedrooms, two are double, one single and a bathroom. - Three trisqueles and Brand of Quality of Villages - In its vicinity there is a cheese factory (Quesería Bedón) owned by the same owners, where exquisite cow's milk cheese is made, a mixture of cow and goat, goat or cottage cheese.